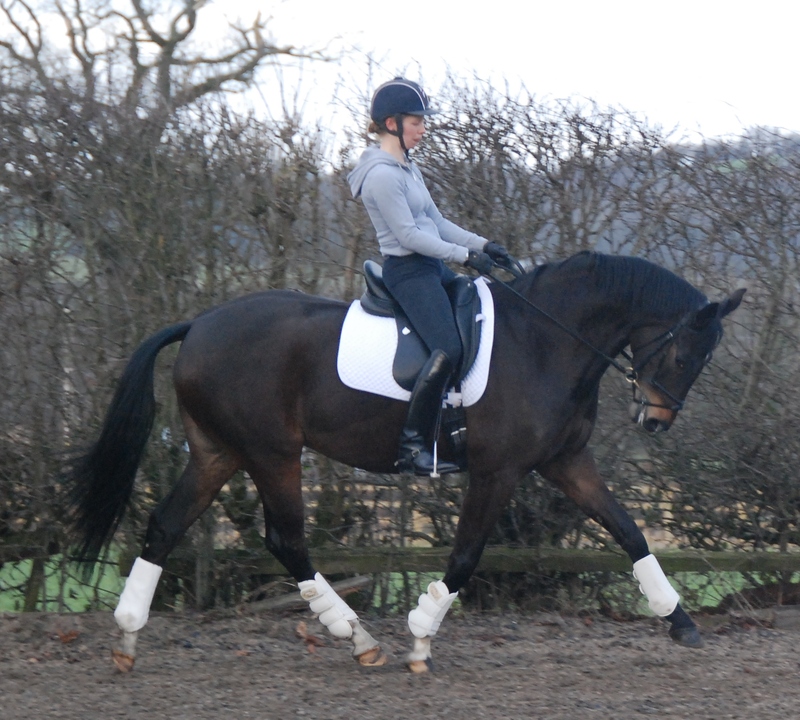 Delilah is a gorgeous homebred 16hh, 5 year old, dark bay mare by Sandro Hit. 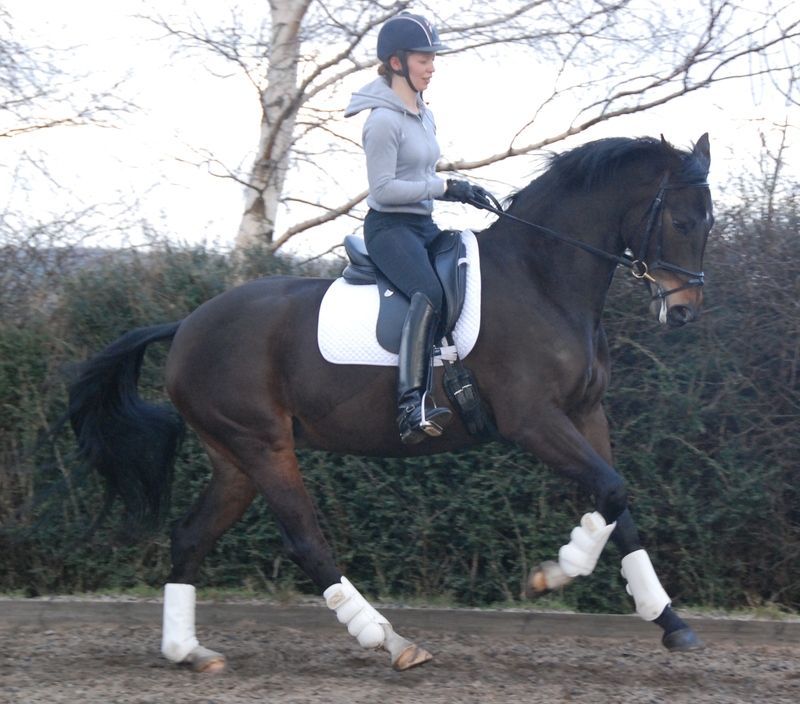 Big, uphill paces, with an amazing canter, super trot and huge walk. 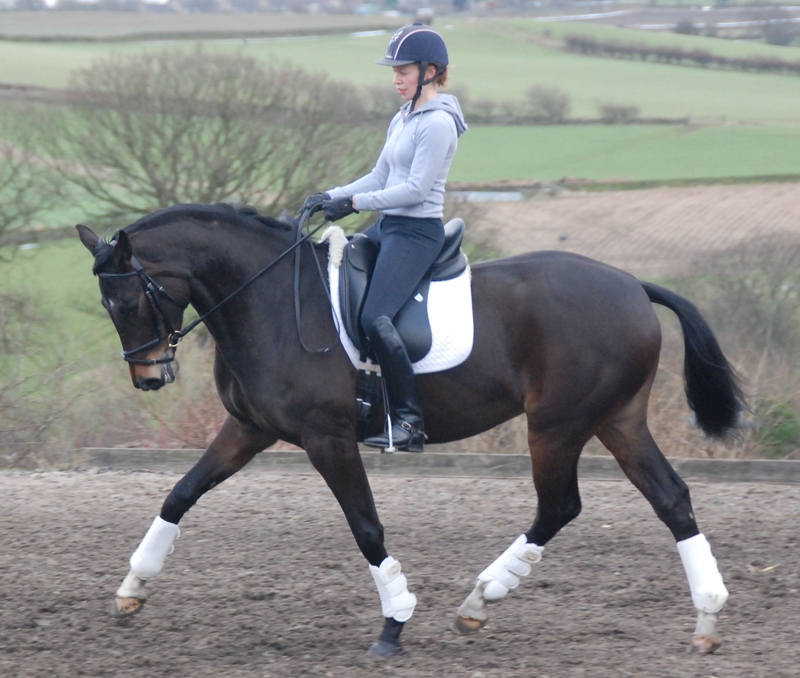 She has a fantastic temperament in and out of the stable, loves lots of attention and enjoys hacking out. This quality horse is ready to be taken up through the levels. 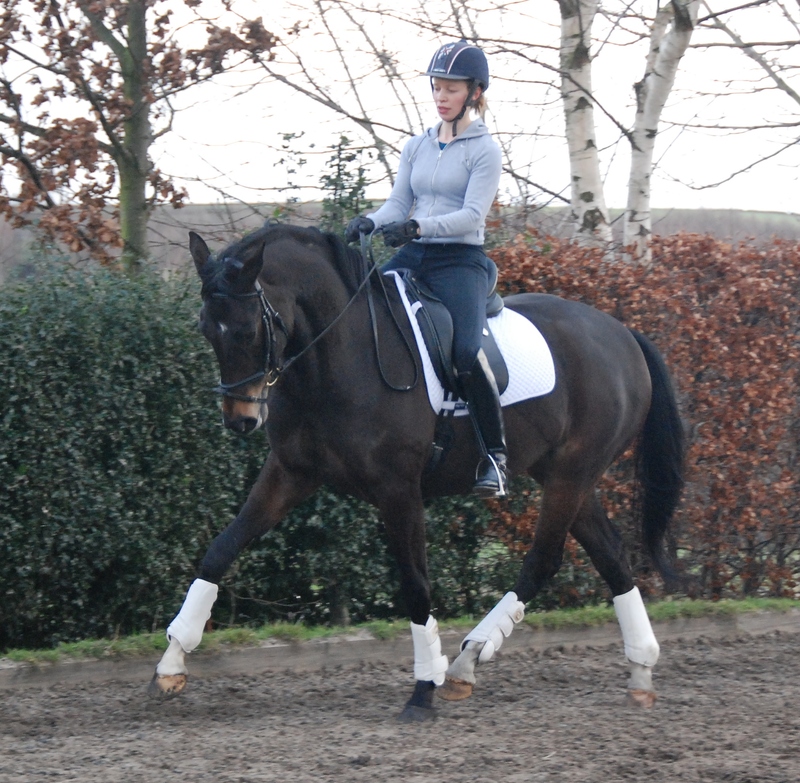 We are offering Delilah on loan to an experienced, loving, competitive home where she can fulfill her potential. She will not pass a 5 stage vetting although is very sound! Delilah does also crib. 5* approved home only as she is loved very much. If you are interested please call Kelly on 07709 338755 to discuss further. Previous Post Jack Rules @ Regionals! Next Post Nationals here we come!